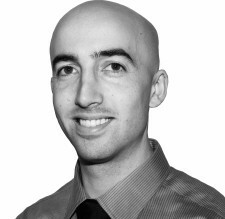 Elliot Heard-Misener is a Registered Physiotherapist with a passion for bettering people’s lives by improving the way they move. After completing a degree in Cellular Biology and Genetics from UBC, he went on to pursue a Masters Degree in Physical Therapy. Elliot has nearly ten years of experience as a personal trainer, working with an extensively varied clientele including athletes, weekend warriors, the elderly, and people with disabilities. This experience and extensive knowledge of exercise physiology allow him to offer his clients the benefit of a global exercise program, alongside a focused therapeutic approach to injury rehabilitation. 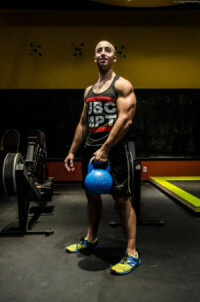 Elliot left the fitness industry to pursue a career in physiotherapy in order to help people in a more fundamental way. Playing a role in increasing the quality of clients’ lives via pain reduction, increased movement capacities and lifestyle maintenance motivates his enthusiasm as a physiotherapist. Elliot pursued post-graduate training in a highly effective treatment technique called Functional Dry Needling. Functional Dry Needling (often referred to as IMS) uses fine filiform needles inserted into muscle with the aim of restoring optimal, healthy function and movement. In his spare time Elliot enjoys cycling, weightlifting, reading, and more recently, the regular practice of meditation. He has travelled extensively through China, Japan, Thailand, and South Korea, where he lived for a year teaching English to elementary school students. His passion for living a fulfilling, loving life is apparent in his enthusiastic dedication to his clients’ progress.